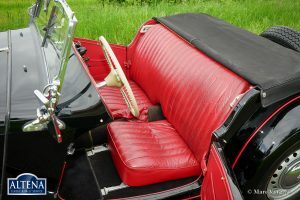 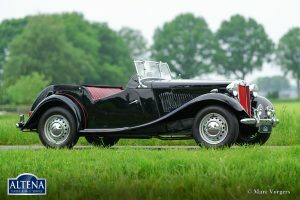 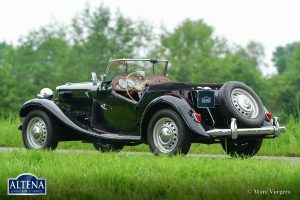 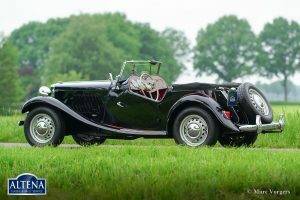 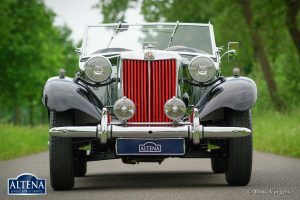 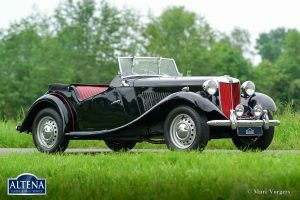 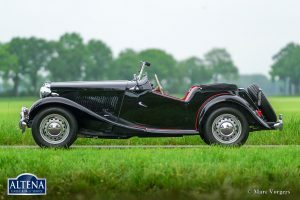 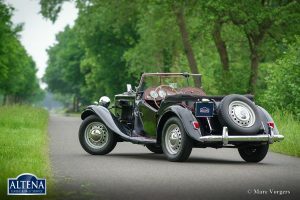 The MG TD was the successor of the MG TC, the British sports car that stole the hearts of the American soldiers returning to their country. 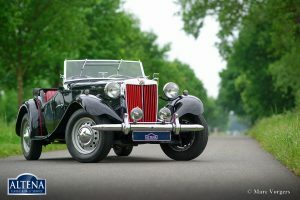 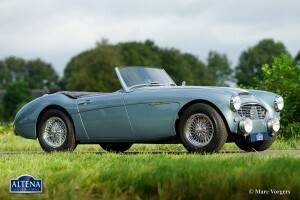 Like the MG TC, America was the most important market for the TD. 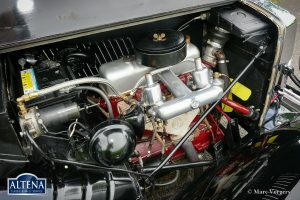 Chassis and body of the TD were largely similar to the TC. 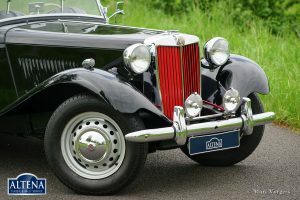 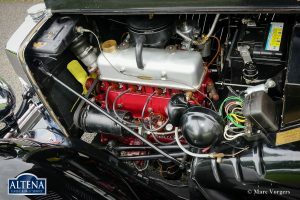 But the TD had a rack and pinion steering-gear, coil springs (instead of the leaf springs) and an independent wheel suspension in the front. 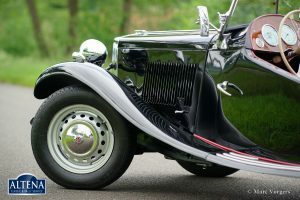 The wings were different in form, as the large 19-inch wire wheels in the TD gave way to 15-inch wheels. 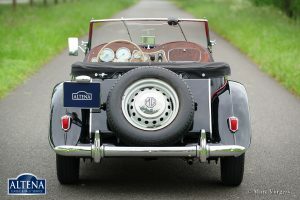 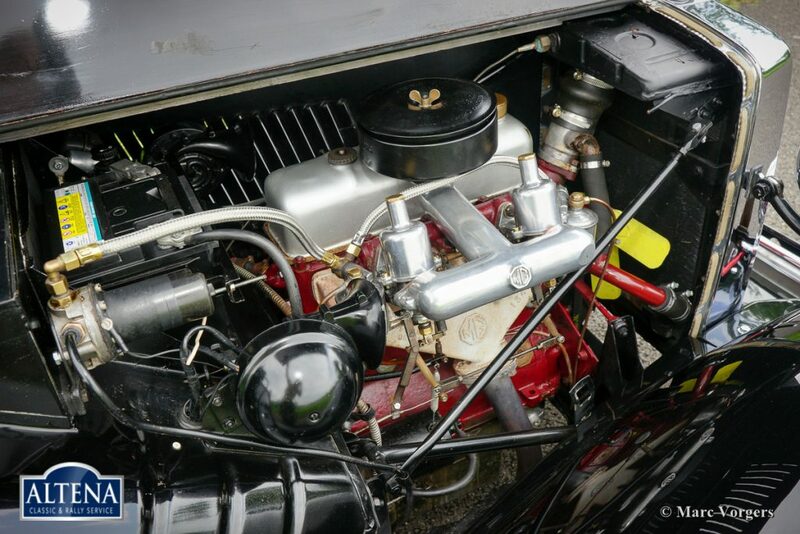 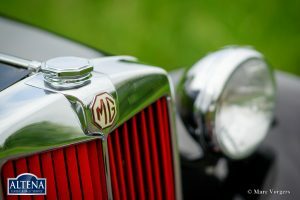 A Mk II version was introduced in 1950, and was built simultaneously with the Mk I.
MG TD, year 1953. Colour black with a red leather interior. 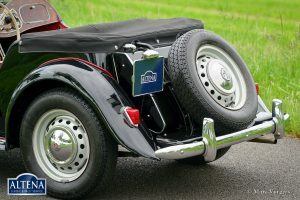 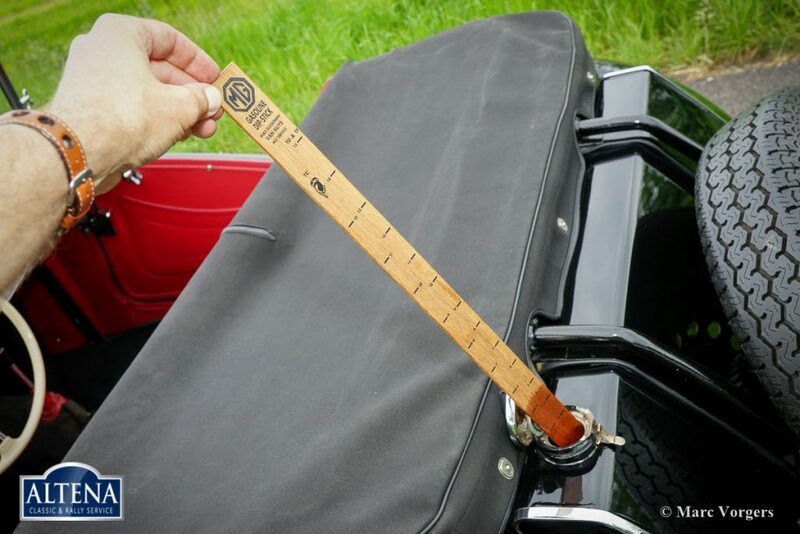 Black canvas soft top and side-screens, black tonneau cover. 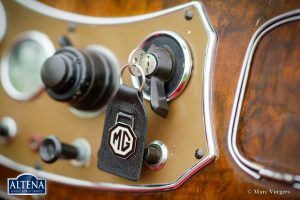 This beautiful MG TD has ‘matching numbers’. 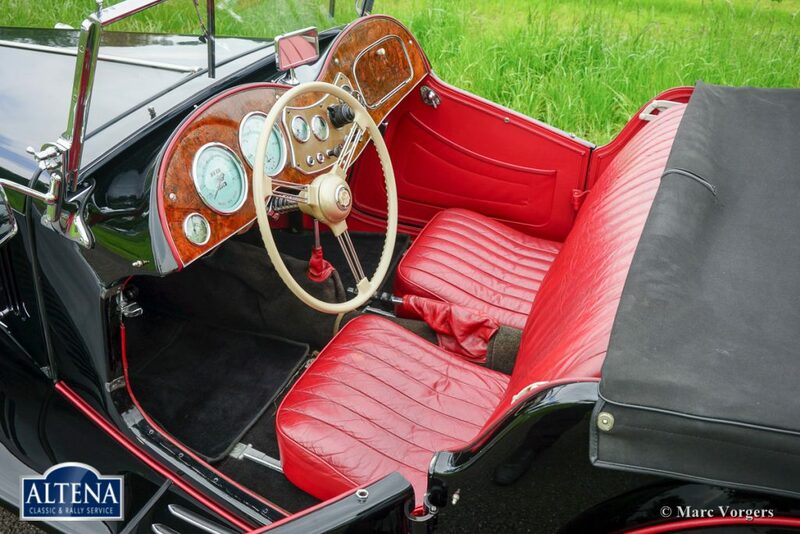 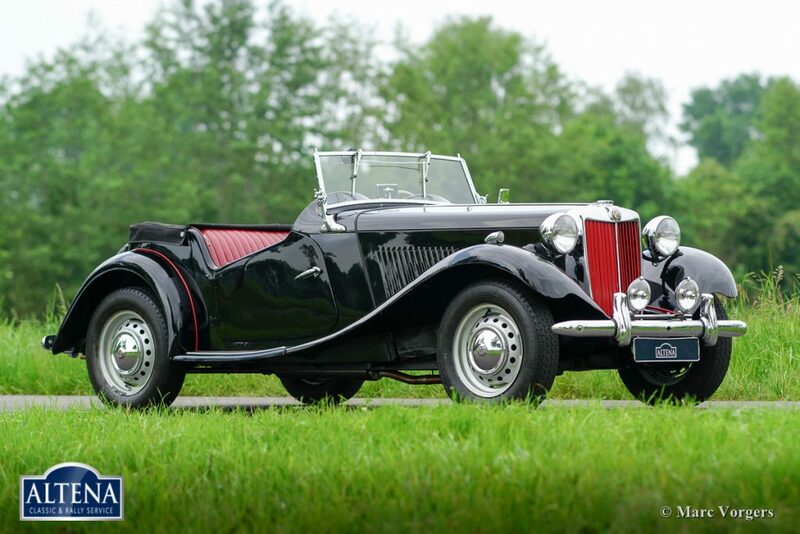 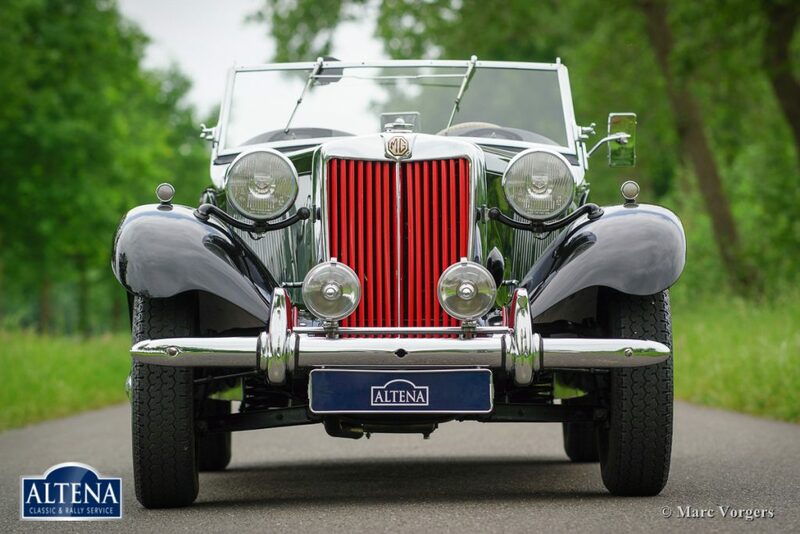 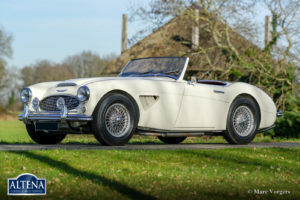 This super original MG TD is in excellent condition and the car drives delightfully. 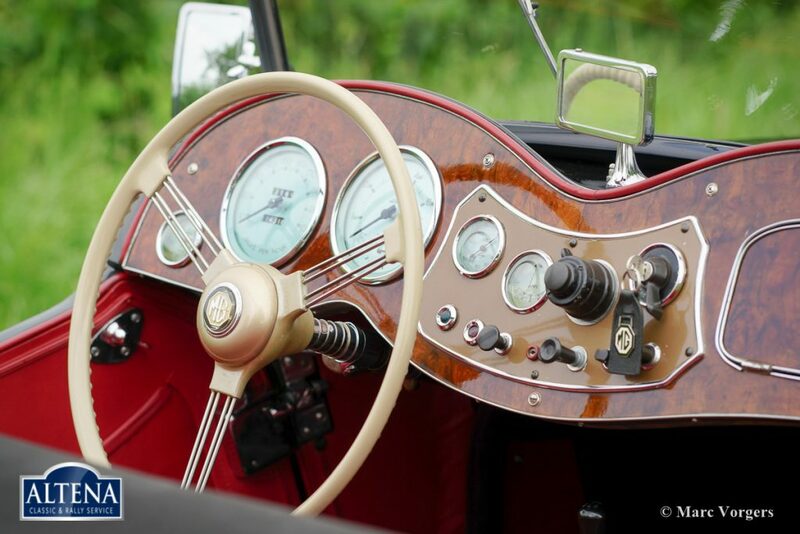 The original steering wheel and the original oil bath air-filter are still present. 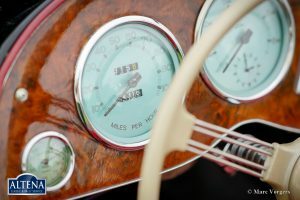 Furthermore the automobile features a walnut dashboard and a Stainless Steel exhaust. 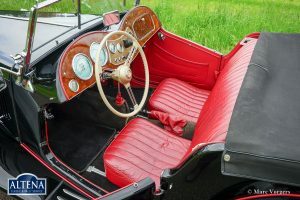 The car comes complete with instruction book.